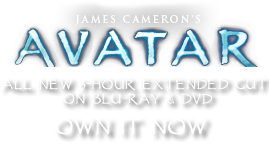 Ritual Music | Pandorapedia: The Official Guide to Pandora | Own AVATAR on Blu-ray & DVD Now! Communal ritual celebration of the Hometree and mourning for the dead are universal across all the Na'vi clans on Pandora. They are also the most important ritual songs. 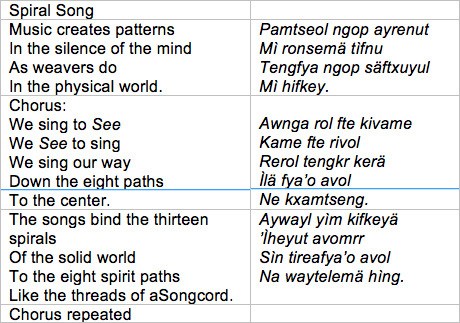 Musically speaking, these are the simplest (and probably the oldest) of Na’vi songs. 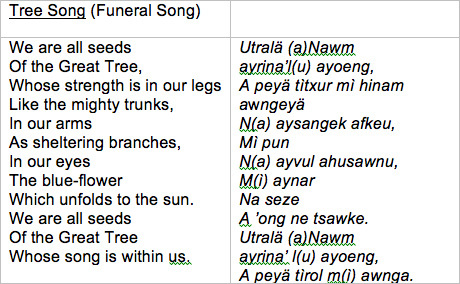 They are sung in a meter of three, which is believed to represent the trilogy of Eywa, the Hometree and the Na’vi people. They are slow and solemn in nature, and lyrically express the interconnectivity of the trilogy. There is no ornamentation of the melody because the Na’vi feel that, in this context, anything superfluous detracts from the purity of the message. Function Celebration of Hometree and mourning of dead. Na'vi Name Tsawl way or “large song that is most important to Eywa”. Performance Style Slow unison singing without instruments by all clan members.